A tripod is the go to device for photographers who want to stabilize their shots. The three adjustable legs do a great job at keeping a camera supported and in one position. However, these three legs create a huge problem when shooting in a small kitchen or busy restaurant. Let me share with you a piece of equipment that will stabilize your camera with no legs at all! The Manfrotto 131TC Tablemount Geared Column with Clamp is something that I bring with me when I know I’m shooting in a small kitchen or a busy dining room. 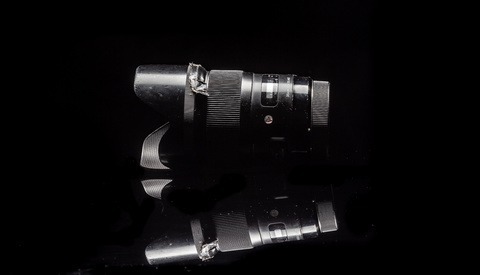 Like a tripod, the camera connects to an adjustable center column through a ball or panning head. Unlike a tripod, this 131TC uses no legs to hold your camera in place. 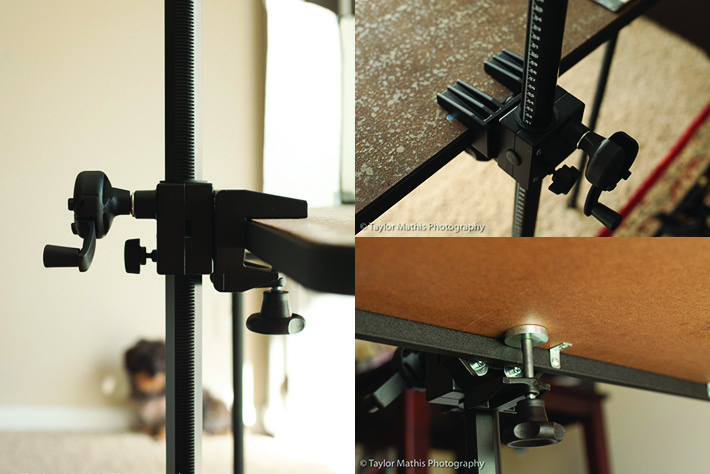 Instead of legs, the 131TC clamps to the edge of a table. The geared column raises and lowers using a smooth geared crank. The column gives you about 2 feet of height adjustment. Here is a look at 2 pictures taken from two different heights. 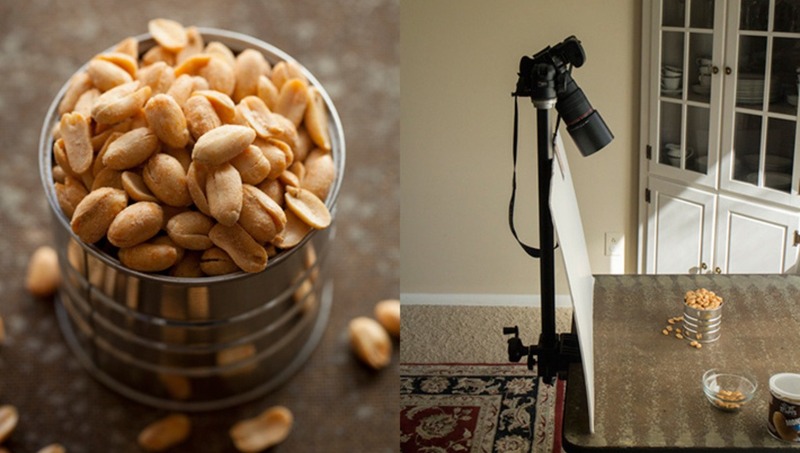 Clamping to a table is impractical for portrait, sports, or landscape photography, but for food photography this is an amazing tool! In a kitchen or dining room, there is always a table to attach the 131TC to. When shooting in a kitchen or restaurant, you will often find yourself in narrow spaces with servers, cooks, and other staff running back and forth. 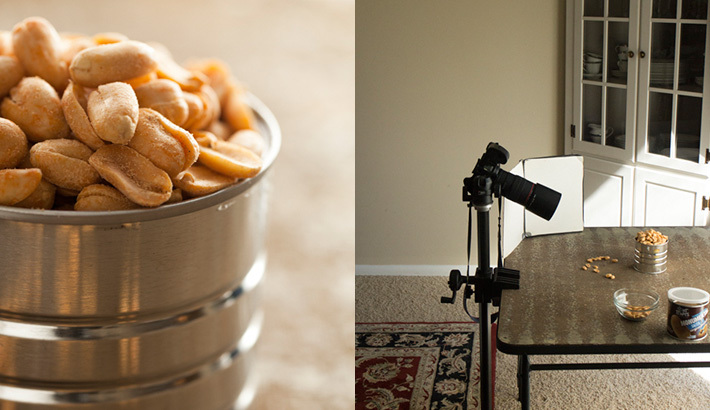 A tripod’s third leg sticking out in a busy kitchen or dining room is a huge problem. A busy server can accidentally bump the 3rd leg and mess up your shot. Even worse than an out of focus shot, a server, chef, or customer could trip and seriously injure themselves. Removing the third tripod leg will remedy this potential problem. 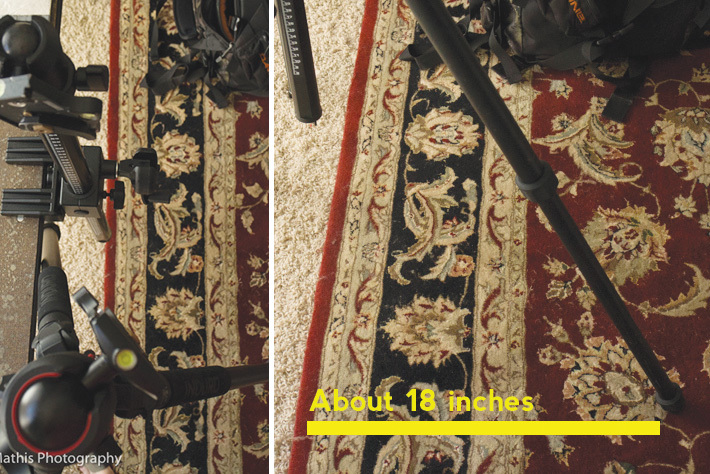 Above shows the difference between a tripod and the 131TC adjusted at the same height. The tripods leg sticks out about 18 inches. This may not seem like much, but in a cramped kitchen or a busy dining room, this can make a difference between someone tripping or not. If you are shooting on a restaurant’s table, place a washcloth around the table’s edges before clamping the 131TC in place. This will prevent you from scratching the tabletop. Without a towel it could scratch a nice tabletop. 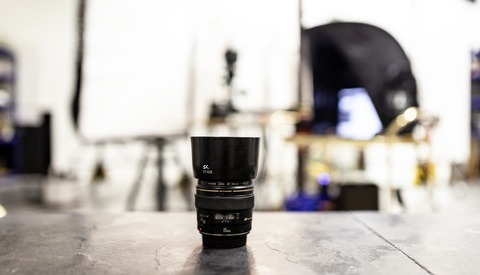 If shooting on a flimsy table, you may want to use a remote or delayed shutter to avoid camera shake. 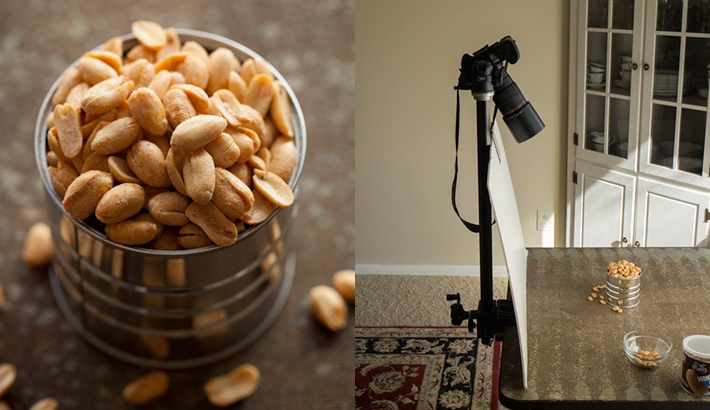 Have any of you used the 131TC or a similar mounting solution for your food or product photography? 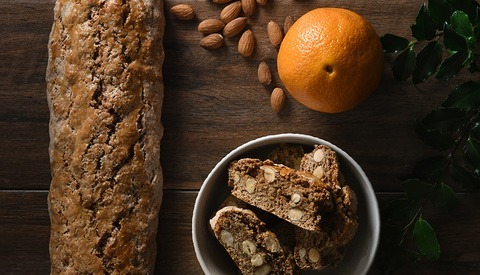 For tips and tricks on food photography lighting check out issues 1-8 of photographing FOOD. Great information Taylor. Thanks for taking the time to give us more information about this great tool! It want be long until one of these appears in my tool kit, I am sure.. I guess if you have a monopod lying around and a clamp or two you get the same idea? I can see this come in handy though, but its very specific on what kind of situation calls for this.
" A Tripod Without Legs" is not a tripod. It's actually more of a monopod or maybe it is one. I have a suggestion if you're worried about it scratching your table. Get some of that thin rubbery shelf liner or just a very thin piece of sheet rubber, cut out some pieces that fit the shape of the clamp and glue them on. Not only will it protect your table, but it may also give the "pod" some more gripping/non-slipping power. Two things I see wrong with this design, the first is no way to bypass the ratchet gears to quickly raise or lower the camera, the second is the mount doesn't have a locking pivot on the clamp to rotate the entire assembly forward (downwards) or backwards (upwards). If it had those two features, I'd buy this on the spot. I wonder how well it would hold onto a c-stand? You could get some killer overhead shots that way. This just might be the perfect. "tripod" for someone in a wheelchair. Strobist.com had a feature on lighting for someone in a chair. May clamp to the chair arm rest? How about just clamping a monopod in place and save yourself the extra money? A Magic Arm would probably do the same thing and be slightly more versatile as in how you can place it or move it. Very awesome! Thanks for the post! Is there a boom bar for direct overhead shooting? very limited use product, how about these 3, cheaper and much more versatile options from Manfrotto. wont it flip the table?